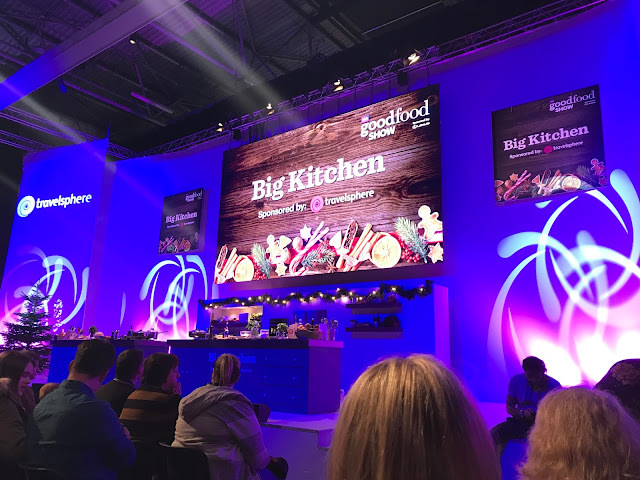 Last weekend, the hugely successful BBC Good Food Show returned to Birmingham's NEC for their annual Winter show. I last went to the event around five years ago, and although it was large then, nowadays it is massive and caters to absolutely everyone. It may have been taking place in the city for 25 years, but there's no doubt that the popularity of the show has only increased over the years. One part of me thinks that is down to the fact that many more people actually care about food now. 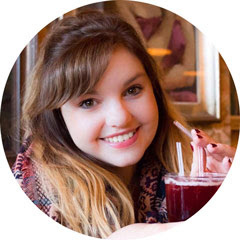 Rather than just cooking the easiest thing in the fridge, I think thanks to popular cooking shows and the rise of foodie bloggers and influences, more of us have an interest in ingredients, the cooking process and of course, the taste, more than ever. 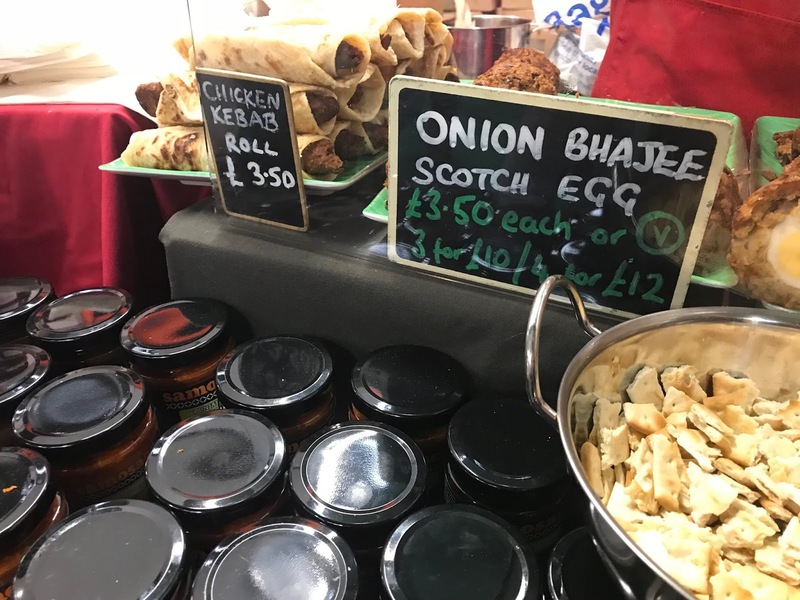 The BBC Good Food Show offered over 500 stalls, with everything from international cuisines to local bakers on the line-up, as well as cooking demonstrations, workshops and book signings. I headed along on the last day of the event, so I unfortunately missed Mary Berry (love you Mazza) and James Martin, who is a regular at the event. Instead, I was fortunate to see The Hairy Bikers, who aren't actually that hairy in real life, 2015 Bake Off winner (aka THE best GBBO year) Nadiya Hussain and Italian chef and presenter Giorgio Locatelli. I spent a good two hours browsing the stalls, and was amazed at just how different each one was. From pork scratchings and pies to muffins and ice-cream, I was immersed by it all and tried as many tasters as I could - probably putting a stone on in the process! One of my favourite stalls was Samosaco, who sold some of the best food options I saw at the event. As well as kebabs, they had incredible demand for their Onion Bhaji Scotch Egg, which was absolutely delicious! 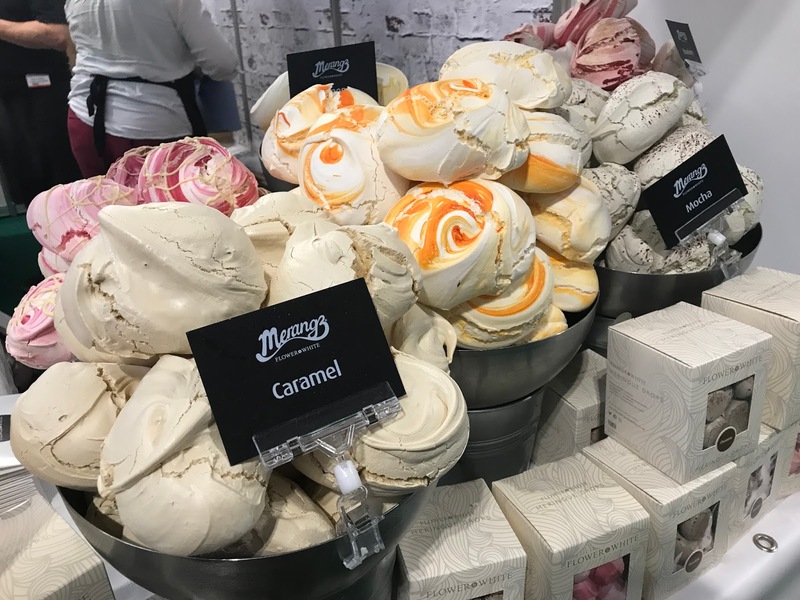 I also loved the Flower & White stall, who sold all things sweet, including huge meringues in all sorts of wonderful flavours. I was also excited to come across local company Urban Herbs, who are based in Bearwood. 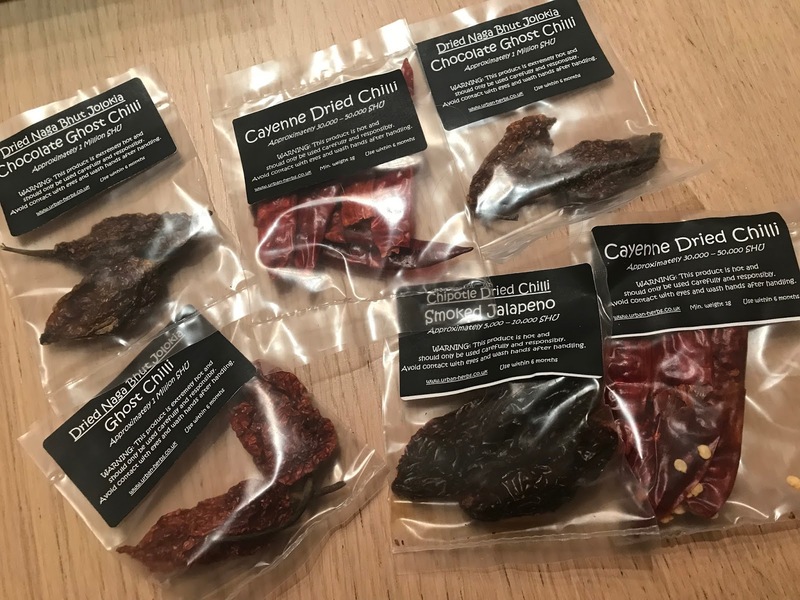 They sold some incredible spices, and I just had to get a bag to give to my Dad for Christmas as he is in my eyes the spice king of the street! I also loved meeting the team behind Proper Nutty, who are based in Yorkshire. After trying two different kinds of tasty peanut butter, one of my favourite treats, I purchased the 'Slightly Salted' one for me to enjoy over the next few months. 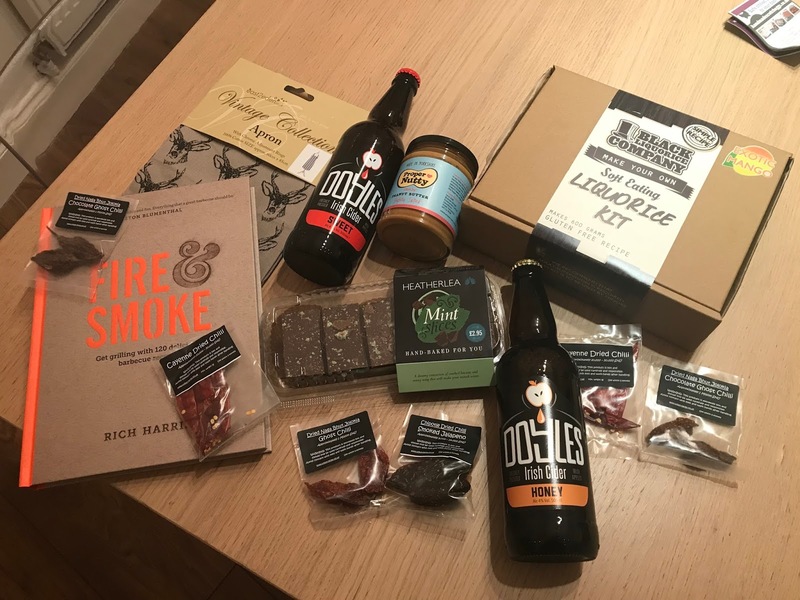 The event also gave me a great opportunity to get some more gifts for my family and friends, including a 'Make your own liquorice' kit, a book all about BBQ's and a beautiful apron. For myself, I also picked up some Ooyles Irish Cider, which is a nice change from my usual cider choice, and Heatherlea's Mint Slices, because, well, if you can't eat a stupid amount in December, when can you?! I ended my time at the show by heading along to The Big Kitchen, where I saw the winners of The Great Family Cooking Showdown, The Gangotras, go head to head with the show's judge Giorgio Locatelli in creating their go to dish to create for their family. This was great fun, and it was also great to see Nadiya Hussain host, she really is a natural! The BBC Good Food Show is a great way to spend a day and will really get you in the mood for cooking and trying new flavours. It is also fun to enjoy all the free tasters, of course, and to take part in a workshop or two. The event is set to return to Birmingham next summer.